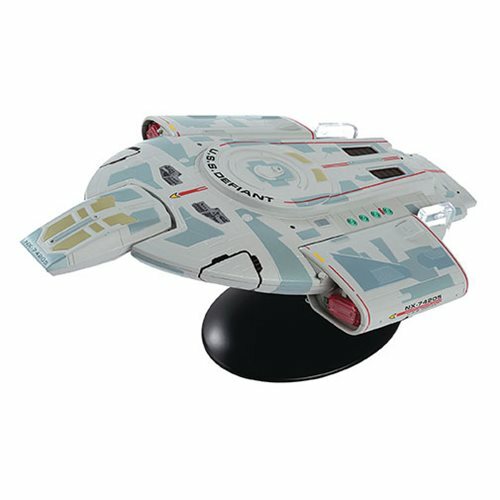 The special vehicle from the Star Trek: The Official Starships Collection is the U.S.S. Defiant from the seventh season of Star Trek: Deep Space Nine. The replica of the warship measures 8 1/2-inches long, boasts exceptional detail and comes with a display stand.